Quick. Name the fastest growing smartphone brand in the U.S. Apple? Wrong. Samsung? Wrong again. According to Strategy Analytics, it is the Google Pixel. The research and analysis firm says that the "Google Pixel is now the fastest-growing major smartphone brand in the United States. Like Apple, Google is targeting rich Americans with rich eSIM devices and rich apps." Obviously, if you are into Android in a big way, the Pixel line is the phone for you. That's because the Pixels are the first in line to receive updates from Google. Don't write that off as a minor thing; while the majority of Android users are not running the latest build of the operating system on their handsets, Pixel users were the first to receive it. 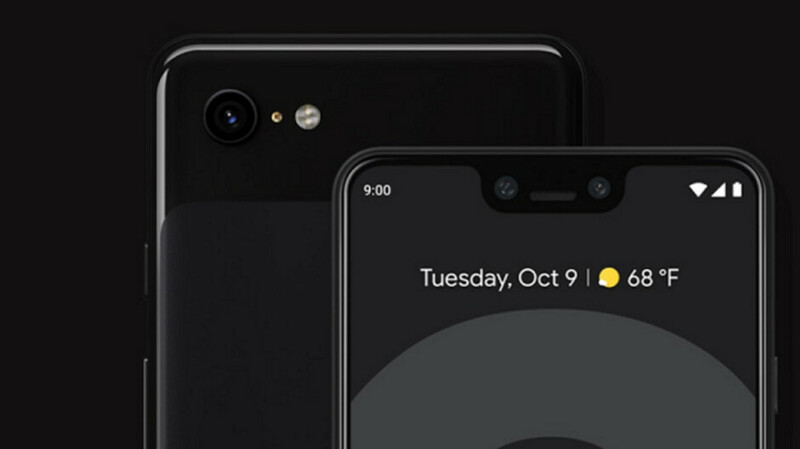 Pixel users also get first shot at any new technology that Google comes up with ranging from the Call Screen feature that monitors questionable calls, to the Duplex feature (available in certain markets at present) that uses Google Assistant to make appointments and dinner reservations for users. And the Pixels continue to impress with their single camera system on the back of the phones. Not that everything is always so rosy. The Pixel 2 and Pixel 2 XL had a multitude of problems when first launched. The list of strange noises and display oddities were so long, that a legal firm advertised for buyers to join a class action suit against Google, LG and HTC (the latter two were the actual manufacturers of the phones). Software updates from Google took care of most of the problems, although there is a slight blue color shift on some units, and there are some Pixel 2XL owners who are still complaining about the burn-in on their screen. However, Pixel 3 and Pixel 3 XL owners don't appear to have any lingering issues. Even if the Pixel is the fastest growing smartphone brand in the U.S., we wouldn't expect to see it take away that much business from the Apple iPhone. After all, the Pixels are designed, as we pointed out earlier, for those who already love Android. Google ran a series of ads last year that showed users of another smartphone brand (obviously the iPhone) switching to the Pixel 3 and disposing of their iPhone. Although these were supposed to be "real life" decisions, it did appear as though host James Davis had to apply a little pressure to get the subjects to switch. “Like Apple, Google is targeting rich Americans with rich eSIM devices and rich apps." Lol. This should get some interesting comments in this section. Apple used to target rich folks when they wanted to market their products as premium devices. Now Tim really believes that iPhones are super affordable and everyone can afford it. A bit of an extreme example, but still accurate. I love my Pixel 2, but when I first got the phone, I wanted to return it soooo bad. The phone crashed on me half the time I tried to use the camera and it would be a struggle to get the phone to boot up properly, sometimes taking as much as a dozen or so attempts to get it to run normally again. I am glad that it's working now, the issues were fixed with software updates. Google, an American company, saw a whopping increase of sales in its homeland, is shocking and surprising? To me all phones are boring after a few months.I had Sony xz , Samsung note 7,8, Google Nexus 5, iPhone 6,6s plus,XS and many a other Nokia. I get bored of them after 6-7 months. That's why I change my phone every year. So don't tell me which one is boring,or which one is not boring. All of them are like that after a few months for me. What are you doing with your phone that you think is so exciting? Bucnassty, bro, I’m assuming the default OS and device features is what you’re talking about - when you said boring. It’s a tool - and by that logic all my tools are boring - I mean I got a hammer, I bet your think it’s borring. It’s irrelevant just like the devices you carry. To me a device has to be a blank wall and it’s what you add to that wall makes it fun or borring. The less junk is on my phone whene I start - the happier I am. I have made my devices to what I need them to be (either android or iPhone). I want an empty chassis and I’ll add the stuff. I make my devices fun with games, features, integrate it with home, car, Computer. The extra clutter that I usually find on android phones just gets in the way. If you enjoy looking at your phones screen as “fun” - you my friend, need to get a life. My iPhone displays all the info and shortcuts on my lock screen - and the only reason I unlock my device is to launch an app - which iOS does for me front and center. If I want a widget at a glance I set it up on my lock screen (swipe to the right). It only displays info if the phone recognizes my face - and it works so flawlessly. Swipe up I see my apps and go into that - it’s so intuitive. But your stuck in 2008 with your “fun widgets” and “customizing icons” that you just sound pretty. Phone is a tool - “fun” is only as good as the apps you put into it - and we all know which ecosystem is better at it. I'm not surprised considering that a lot of people are aware of the Pixel cameras. A lot of times when I have conversations with people offline who got a Pixel 3 (or even Pixel 2 previously), these are usually people who tell me that they switched from iPhone for the camera. Even some creators I follow on social media, also made the switch for the same reason. It seems fairly common. If not a total switch, they have a Pixel 2 or 3 as their secondary phone. I think the endless photo storage helps a lot as well. "A lot of times when I have conversations with people offline who got a Pixel 3..." You have conversations with people offline? Elaborate?? Why are you being so hypercritical? It's expected American brands would thrive more here. Especially with the Pixel's reputable cameras are becoming all the talk in the photography community. I would imagine he is talking about talking to people face to face or on phone. "She" is talking to people. libra89 is a sweet female. Have you tried that endless photo storage? They are compressing photos and when you re-download them quality is reduced, so that endless cloud storage is a fake. But for example amazon photos do not touch your uploaded photos. While it's not endless unless you have the OG pixel, ther unlimited storage for 4 years is in full resolution. No compression. Thank you, that was what I meant. And the way how Google does it, it seems like you don't run out of space because of your photos and videos. I love my Pixel 2, and I am really looking forward to the Pixel 4, but not so much the price which seems to keep escalating. I might end up getting a Moto G phone next, I don't need a high-end spec phone, just something with near stock android, and I like this G7 Power with expandable storage and the 5,000 mAh battery. I might just get that phone for storing a whole lot of media on it for travel and camping. better off with OnePlus, hardly any problem or headache. I love your post. I have owned Samsung phones and iPhones. And when issues are reported everyone acts like everyone gets them. I haven’t seen/experienced any issues reported this far. My wife is on the iPhones aince 2008, we have had 2 iPads since 2012, and now I’m on the X for more than a year. I also had Samsung devices between iPhone 5s and iPhone X. And I had “little” issues too similar to what’s reported for other devices - but never seen it reported. I had updates brick my Samsung phone and have always even a slowdown within every 6 months (updates or not) on my Samsung devices that either required a new device or factory wipe and reset. But none of those issues were horrible, or unexpected from using computer devices since I was a small child. Bottom line - I think companies are doing a great job especially how much tech is crammed into those tiny squares. It’s jait easier to report on iPhones and pixels because they get updates quickly and every owner can install it on day one - the rest takes months to distribute and it’s not easy to catch problems if only 1% has the new update - not enough exposure to catch the bugs. My Essential phone got the Pie update before my friends Pixel 2. Just saying. Sorry but if you were selling $200K copies, and suddenly you sold $2 million, it looks on paper like it's the "fastest growing", but it's still very far from being a real competitor. You need to hit $40 million to be on the radar of Apple and Samsung. Exactly company sells 10 million devices and then sells 3 million more next year it’s “meh”. But a company’s that sells 3 devices and then 10 devices all of a sudden seen as the winner. But good on them - it’s a positive growth on its own scale.